Jungle Jim slot is a Microgaming video slot which was release in 2016. Jungle Jim is a 5-reel slot, with 3 rows and 25 paylines. In total, this game has exactly 11 symbols which appear on the reels. They include a treasure chest, a totem pole, an Aztec mask, a blue serpent, an angry orange piranha, a tropical green flower, a tarantula, a snake, a jaguar, a red-headed female and a monocle-wearing explorer. 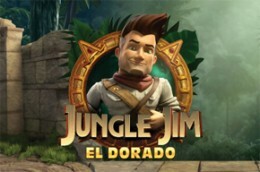 Jungle Jim offers to its players a wide betting range, attractive bonus features and a grand prize of 4.000 credits.